Last weekend it felt like I was doing a marathon trying to get from one mall to the next to obtain some stuff. You know the Makati malls; Glorietta, SM, and Landmark, (thankfully, I didn’t have to go all the way to Greenbelt). I like malls, it’s convenient, you get everything that you need in one place, but it was one of those moments when I wished that I had everything that I need in just one spot (instead of 3 buildings). This is the exact concept that Dapitan55 is trying to promote. 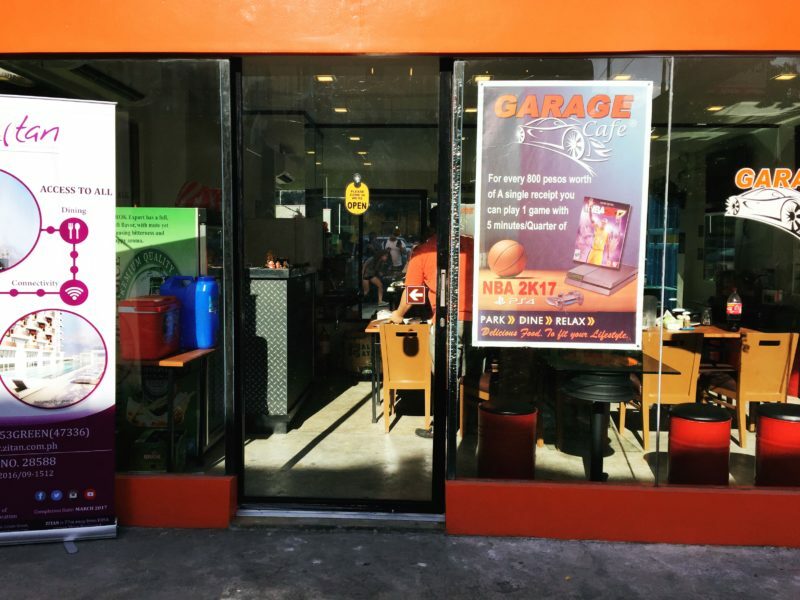 It’s a one stop shop that caters to the people living around Banawe in Quezon City. It’s basically a lifestyle complex with a car wash, cafe, restaurant, and other shops. Last month, I was invited with some of my fellow foodie bloggers to check out this newly opened complex. Dapitan55 is located in Banawe, Quezon City. It’s out of the major roads but it can be found by Waze so the Uber driver didn’t have a hard time getting me there. On whether you can reach it by public transportation, I cannot tell for sure. As mentioned on their Facebook page, it houses several establishments meant to provide their customers the ultimate convenience. Here let me show you what you can find inside. For car needs there’s the Mr. Buff Carwash, the Ironman Suspension Sales and Showroom Center, and Careation Car Services. These three cover your automobile needs. None of us had a car, but if we did we would have been allowed to try their car wash service for free. For a variety of retail or wholesale items, you can check out TrusTrade Global’s showroom. They offer what they call indention services, which means they can source products for their customers, such as general products, toys kitchen wares, mechanical tools, school supplies, accessories, mobile phone accessories, car accessories from China, Hong Kong, and Taiwan. What’s a one stop shop without food? No of course, it wouldn’t be complete without food. Good thing there is Garage Cafe, restaurant, which you guessed it, has a garage theme going on. 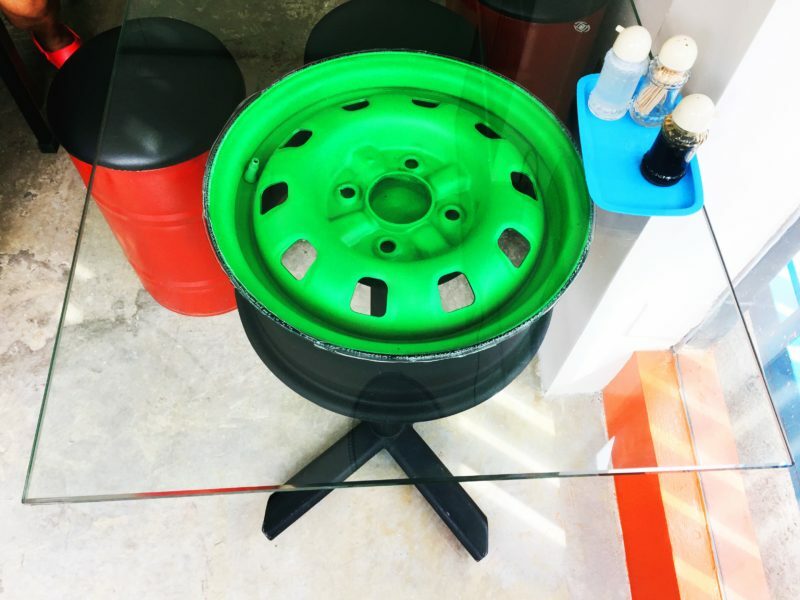 Would you believe they used old tires as a mount of their glass tables? 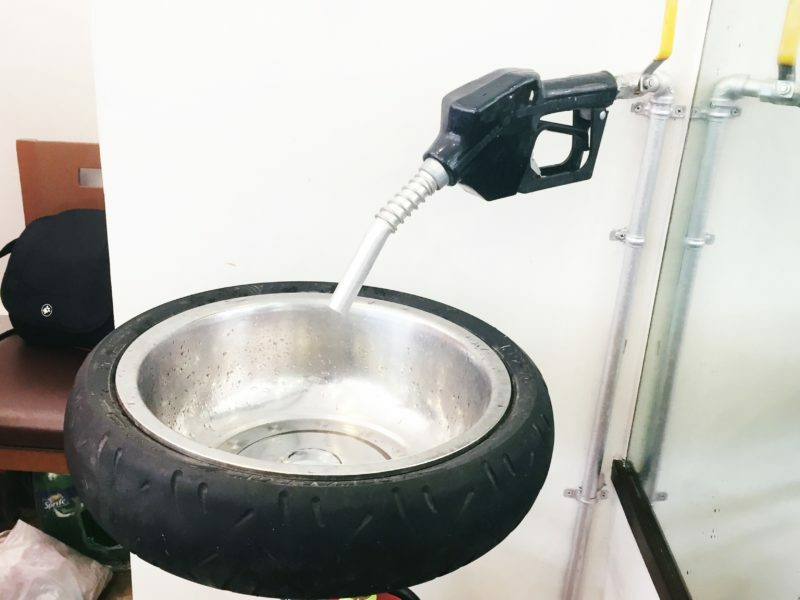 Yes, it’s cute, and their sink is much more cuter because it is also made from a car tire and the faucet is made of a gas nozzle. How ingenious! The people behind Dapitan55 by the way are the same people who put up Red Baron Manila so I immediately set high expectations on the food. Just like the Red Baron‘s gig, I was with Michy, Jerro, and Arrianne (and Enzo instead of Cai). Let me breeze through the food because we were served a lot, more than I could handle. I was the early bird among my peers so I waited at the Garage Cafe for more than an hour. The staff seems to have taken pity on me so they took out a dish, which name I’m so sorry to say, I wasn’t able to get. But it was good and if you know what it’s called, please leave a comment below. After fiftyleven years the rest of the crew has arrived. We were joined by the marketing manager, Joyce Esteban. Food then starts coming in and soon we were doing blogger duties (shoot first, eat later). It was a blur of plates, meats, and sauces. 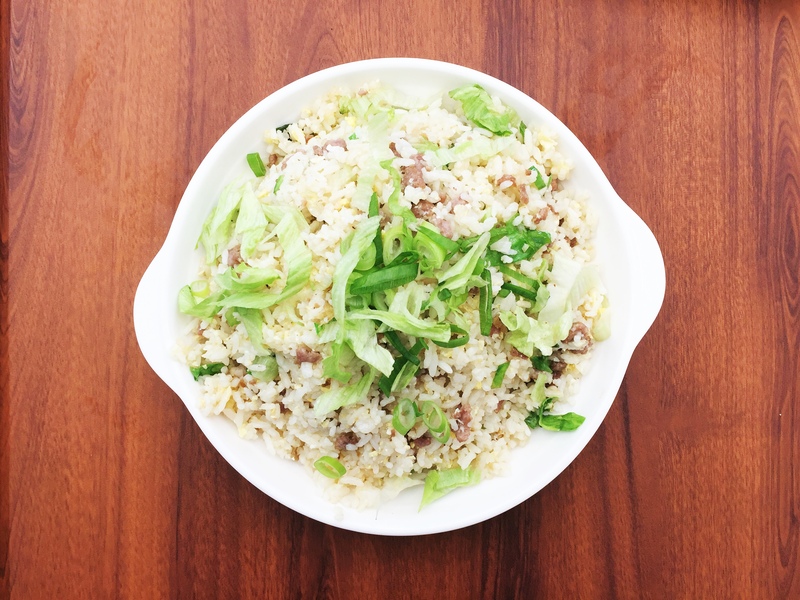 We had two kinds of fried rice: Yang Chow Fried Rice (PHP 95 – USD 1.92) and Beef Fried Rice with Lettuce (PHP 120 – USD 2.42). I was expecting to love Yang Chow, maybe because of the color, but I found the beef rice more to my liking. 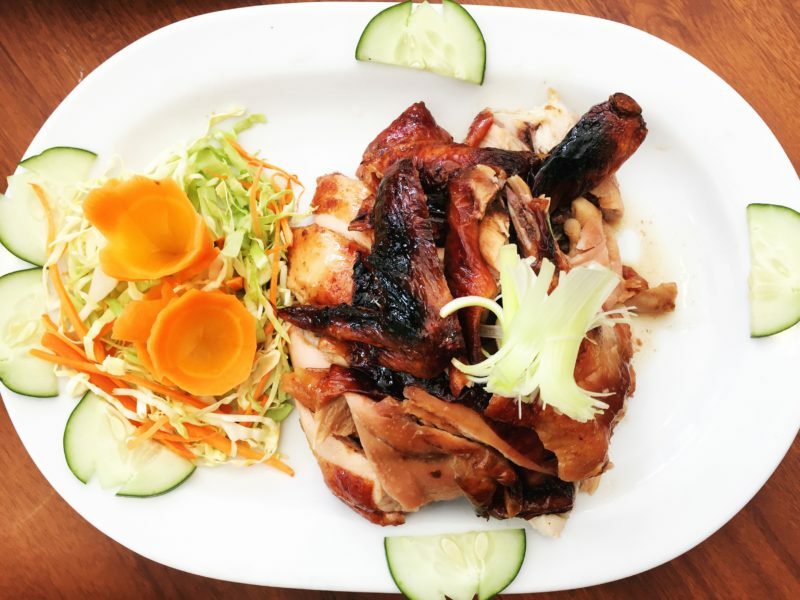 We had many viands to choose from (yes I use the term, viand, what could be more Filipino than that hahaha…), such as Salt & Chili Spare Ribs (PHP 230 – USD 4.64), Roast Chicken Whole (PHP 380 – USD 7.67), Kento Chicken (PHP 250 – USD 5.04), Roast Liempo (PHP 230 – USD 4.64), Asado (PHP 230 – USD 4.64), and Beef Brisket (PHP 140 – USD 2.83). Pretty cheap huh?! And I tell you they are all good. This event happened several weeks ago though so forgive me if the memory of how each dish tasted has faded in my mind. 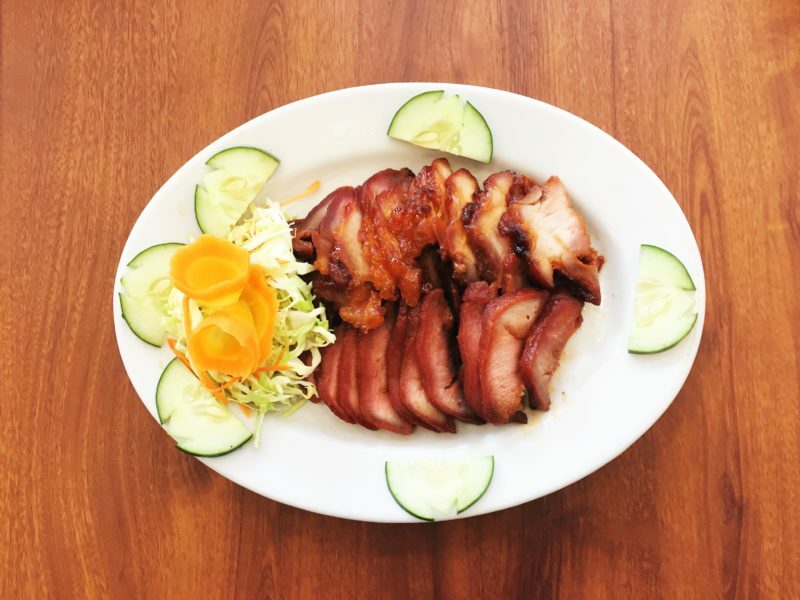 But I do remember loving the Salt & Chili Spare Ribs and the Roast Chicken, and we are unanimous with the former so be sure to try that. For soup we had Joyce’s favorite, Hot & Sour Soup (PHP 150 – USD 3.03). 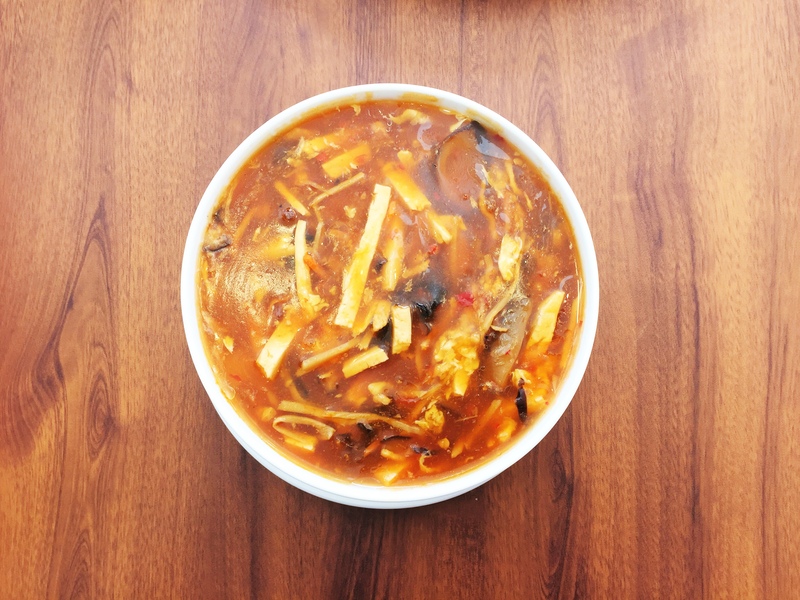 This one is a bit sour and it’s interesting to note that the soup has thin strips of soft tofu. I didn’t like it at first, it sort of grew on me. What to chase down all these food? Try their brewed, Lick flavored iced tea. It comes in two flavors, Huckleberry (green and black tea) and Lemon. These are naturally sweetened by Stevia so if you’re careful about your sugar level then this may be a good choice for you. 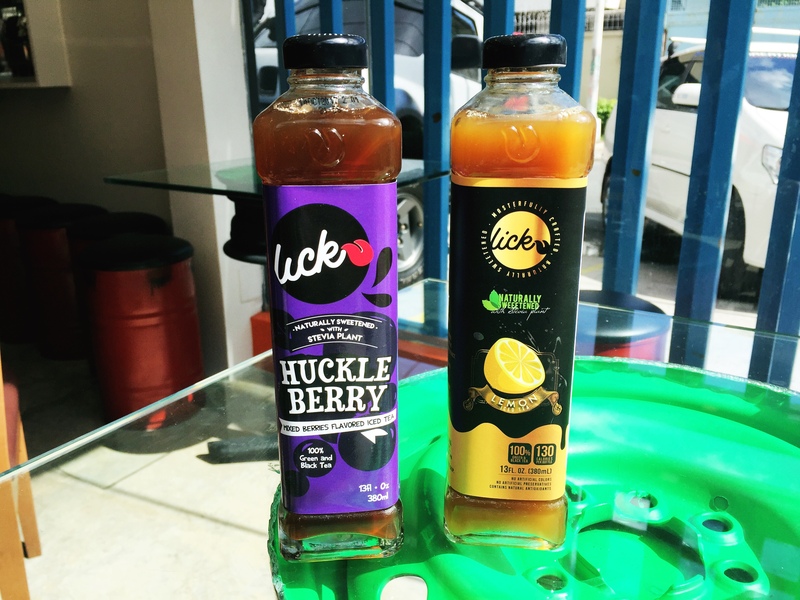 I didn’t get to try the lemon flavor, but Huckleberry was fantastic. I am hoping to see these bottles on retail stores someday. Joyce said that they are already looking to that option. 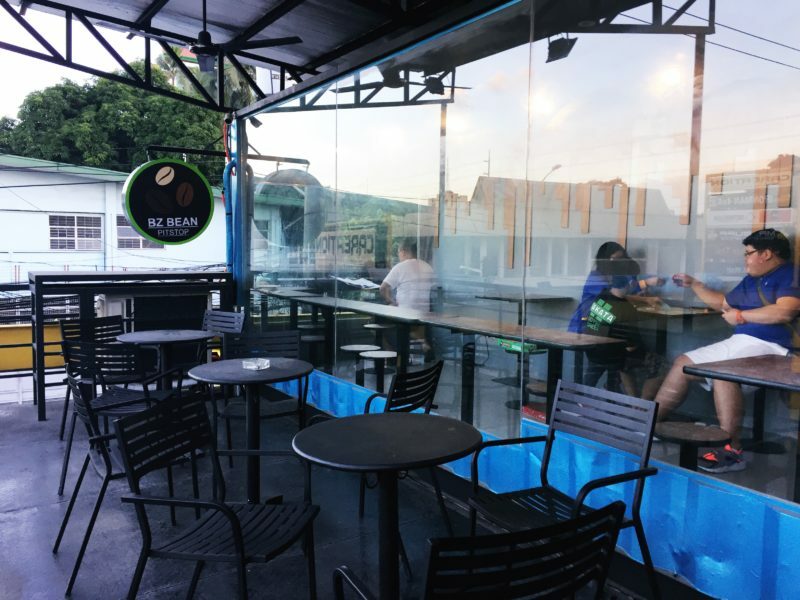 If you want to have some coffee or you just want somewhere to leave your children while you are busy doing some car business at Dapitan55, then BZ Bean is for you. 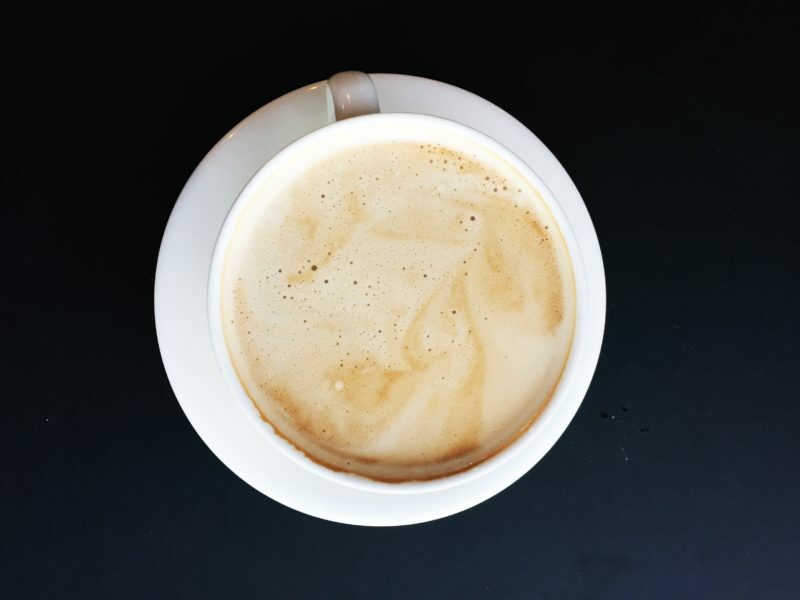 I had Flat White (PHP 120 – USD 2.42), which tasted okay but lacked the richness that flat whites are known for. As with the latte art, forget about it, they failed in that department. 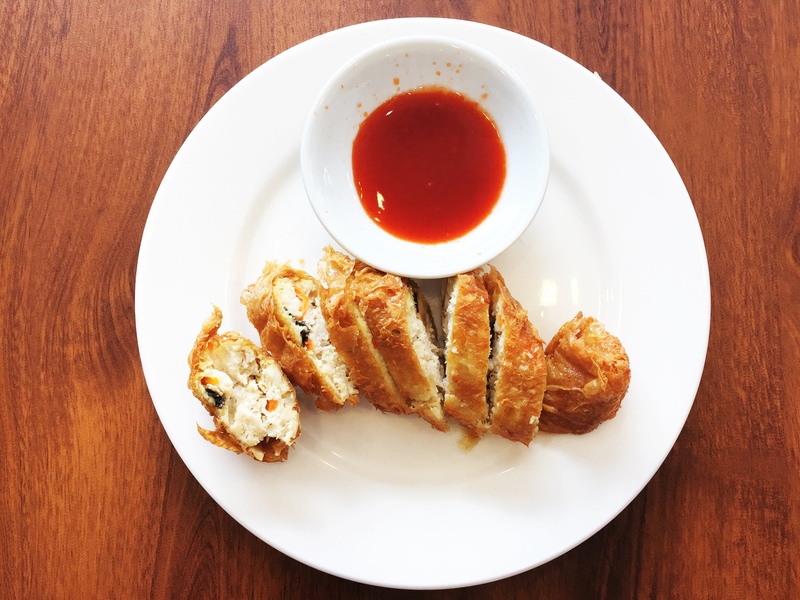 We agreed that the Sans Rival (PHP 130 – USD 2.62), but I noticed an unmistakable taste of garlic especially on first bite. I don’t really know why and where did it come from, my guess would be the cake sat somewhere close to a garlicky food that it absorbed the flavor. My sense of taste and smell have always been keen so I noticed this right away. Despite this, the cake is good. Maybe this was just an isolated case, I sure hope so. 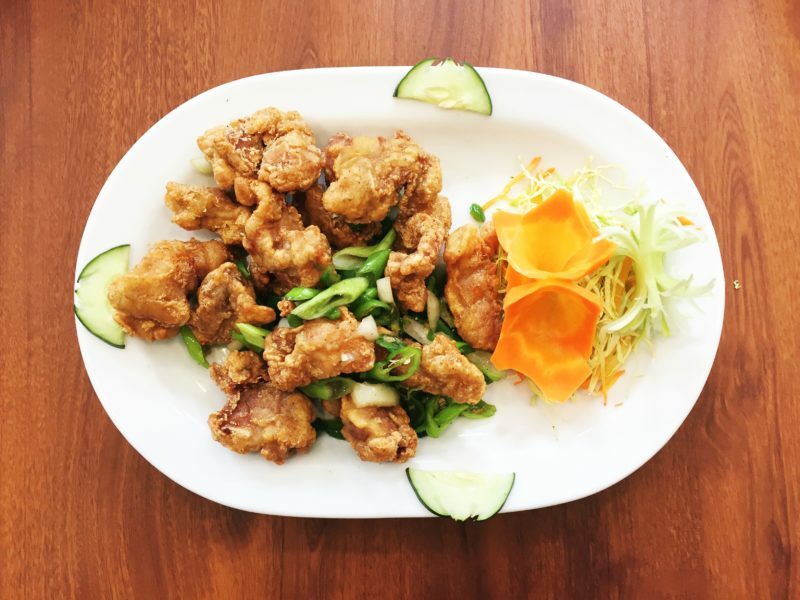 If it’s relaxation that you are after, you really don’t have to go that far because Dapitan55 has a Baan Khun Thai branch. We were treated to an hour worth of full body massage and boy it was relaxing. 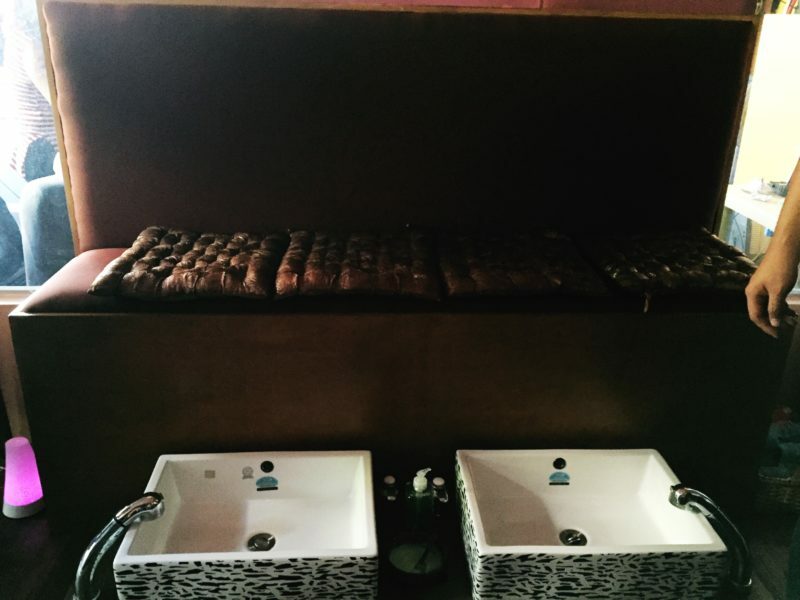 It started with the washing of feet and then we were ushered to the second level where the massage room is. There’s a section with mattresses on the floor, with just the curtains to serve as partition. Then there are also bed frames. Not sure what’s the difference between the two, I mean do they let the customers choose whether they want to be massaged on the floor or on the elevated bed? I wasn’t able to ask. 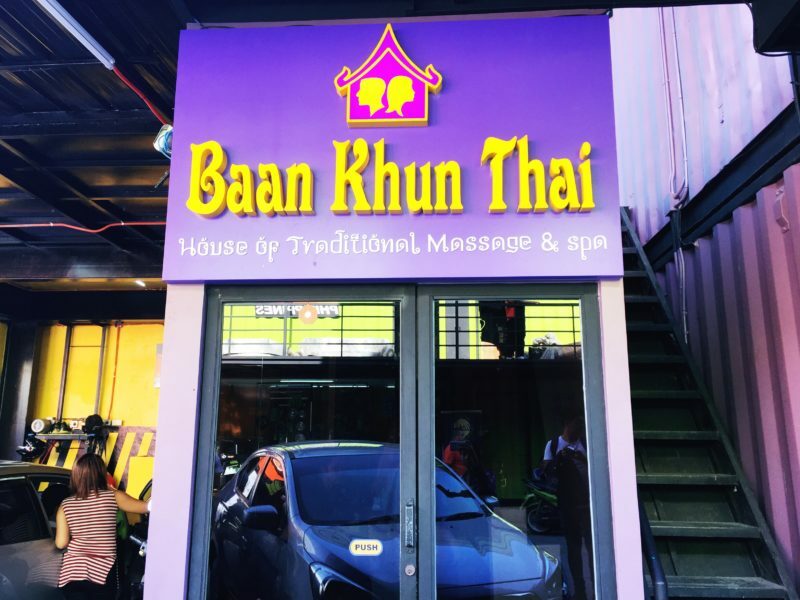 I tried the Baan Khun Thai branch in Bonifacio Stopover and I remember feeling smothered by the pillow when I had to lie face down. At least on this branch they had neck/travel pillows, which served as the face hole of the mattress. It does wonders, didn’t feel like I was being cut off of air while getting back massage. 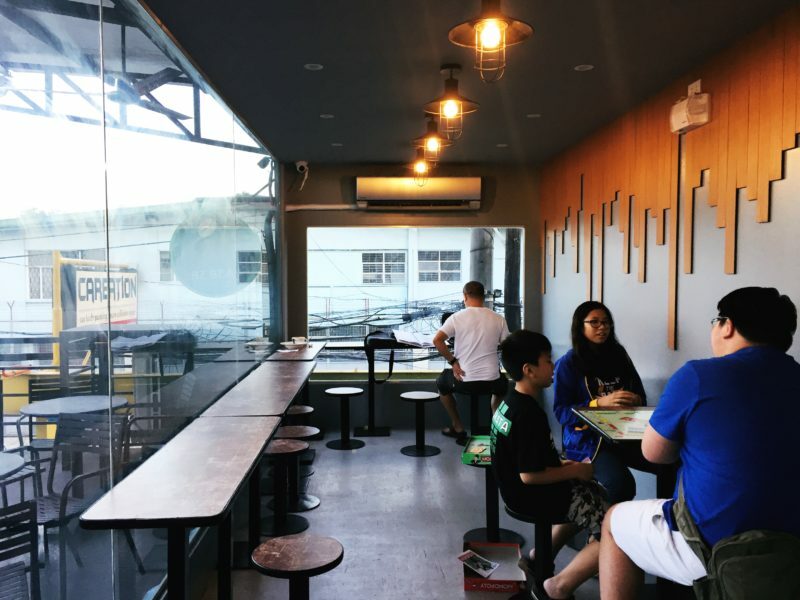 Dapitan55 is opened from 8AM to 12AM. I love Yang Chow Fried Rice! 🙂 Just the mention of the name makes me want to eat it again. hahaha I haven’t tried this place. But I would love to visit it next time I go to Dapitan. Dapitan Arcade is one of my favorite places to go to if I want to shop for home decor. Aside from the food the massage is what really got my attention. I’ve been wanting to get one at this place. I get that too sometimes feeling smothered. After a massage some food at your suggested place sounds great! I like the concept of using things to represent a garage. Ergh, garlicky cake, bummer. Hope it was just a once off for them. Love your blogging duties line… ‘shoot first, eat later’, so true! Sounds like you had a delicious feast. I too am all about the one stop shops. Aint no one got time for all that running around. This is such a novel idea. Reusing all old parts reduces so much of junk. As for food… very tempting indeed. I love one stop shops that have everything you need. It’s so convenient and saves time going from place to place. This is especially great if you’re travelling through somewhere and don’t know the place. This one looks great! I imagine you could spend a whole day at a place like that, relaxing, eating and arranging errands like attending to your car. Very convenient! There is a similar place like that here in our city. They have the same concept of that from Garage Cafe. The only difference is that the place is intended for social drinking. It is more like a chill place to go and enjoy music with your friends. That’s too bad about the latte! But those fried rice platters look great. I’m loving the gas nozzle as the water outlet for the sink! The tables do look kind of funky too all painted green like that. Pretty clever. I am near the place but I haven’t got the chance to see more of Banawe. I totally agree with Casey and Mirriam! The Garage Cafe looks so creative and is an awesome concept! I would love to visit there soon and try out their must-try best sellers! I an near the place but I haven’t got the chance to see more of Banawe. I totally with Casey and Mirriam! The Garage Cafe looks so creative and is an awesome concept! I would love to visit there soon and try out their must-try best sellers! I do not know why there is a garlic taste on Sans Rival, oh no. 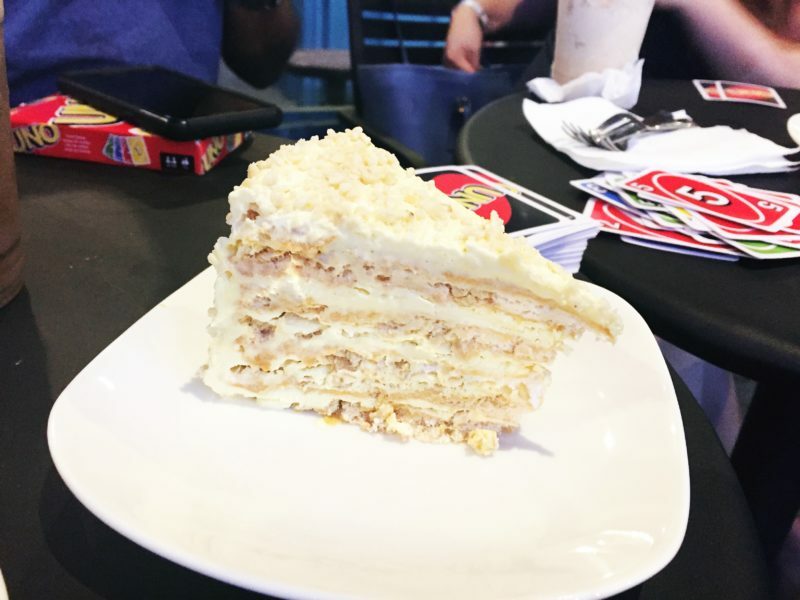 I love to try that and see whg, I am curious in the sense that my parents live in Dumaguete City where Sans Rival is famous and is delicious. 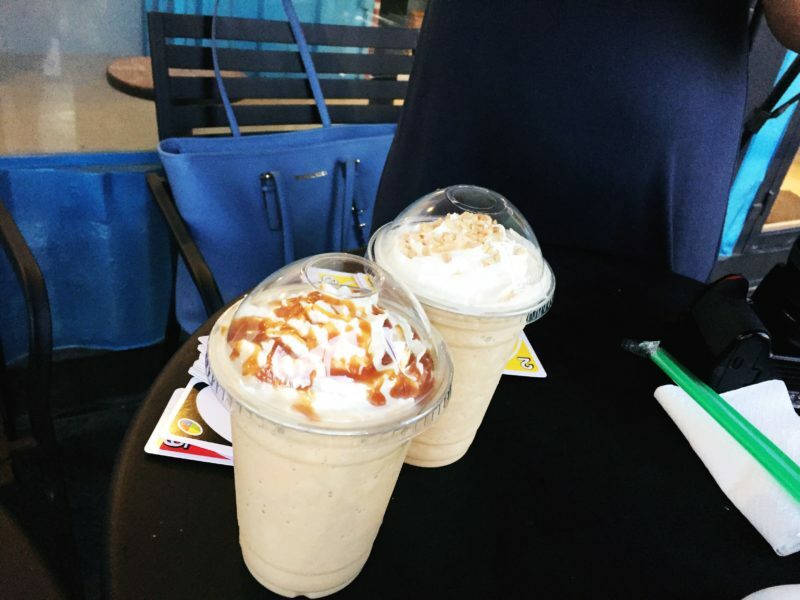 Just like you, I like to be in a mall where I could find everything, I am such a lazy person, I do not stay long in a mall or any shop, I only buy what is needed and it will take me long if I do not see it in one mall. Good to hear there is such place now in QC, I think Manila needs it more. What an awesome concept! It’s always a problem where to go while having the car washed. I find it so inconvenient to sit by the car washing station while my car is serviced. Sometimes, there’s a lounge, which is good. This one is better though. Spa + shopping while car is getting a bath is the ultimate relaxation! ? Wow, I really like how they came up with this concept as it truly a new and something that really an interesting to everyone. 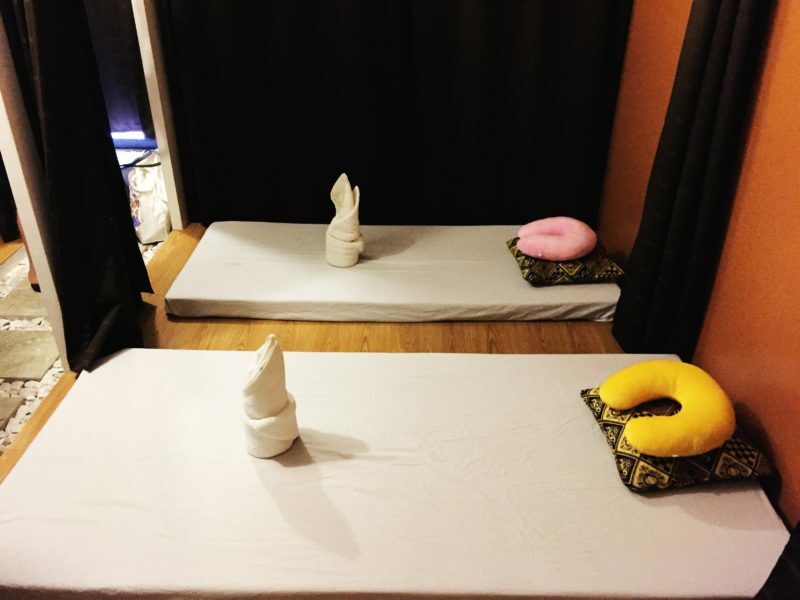 A one stop shop that blessed with food and as well as the body massage service that would really be something everyone should love to be at for a full relaxation. I also love how they design the place. Dapitan is a gem hidden that most people know about but disregard. There are so many things you could find and discover there. My mom and I would used to visit the place to restock on furniture and house accessories. I’m really not sure if I’ve seen the whole place but I’m sure that there’s always something new to see. Great write-up! When I was planning my trip to Manila, I was thinking about Quezon. I Googled every single keyword popped up on my mind about the city. I even tried to find out what I can do there. But unfortunately, one of a traveler from a travel blog forum said there would be nothing in the city. The city is even where you can find the biggest most crowded prison. But it wasn’t about the prison I canceled my plan to visit the city. It was me, who really trusted what he said. Now I regret it as according to this post, there are a bunch of fun things you can do there. I think the first stop I would start next time is, the SPA! Hi Oi Meira, there are many things to see and do in Quezon City like the Quezon Memorial Circle. Also it is a popular spot for food trips. I’m sorry that you didn’t get enough information when you went here. When you do come back, you can ask me for some recommendations. This seems to be a nice concept. Giving to people within the vicinity everything and anything they need. I frequent Banawe before because of work. And it seems the main market of the shops within the place are Chinese nationals. I echo Robert’s warm wishes – good luck to their businesses..
Wow! I think it’s interesting to eat in the Garage Cafe… I mean it is definitely living up to it’s name with the tires and all, very cute! But I’m more interested in the spa. It looks really relaxing, especially in a building with a lot of other establishments. 🙂 I guess if I need food, entertainment and relaxing, this would be my best option yet. Thanks for sharing! Wow! I do love those cool places popping up around the world where you can live somewhere & almost everything is at your fingertips that you’d need. This one sure looks amazing. Great post. Seriously, I can think of nothing worse than a slice of cake tasting like garlic! Maybe they didn’t bother to wash the knife that was used to chop garlic before slicing your cake. Garage Cafe looks so creative, the way they decorate their place, with the fuel looking water tap amazes me, although only in picture. Dapitan 55, looks like a very small shopping center, is it? 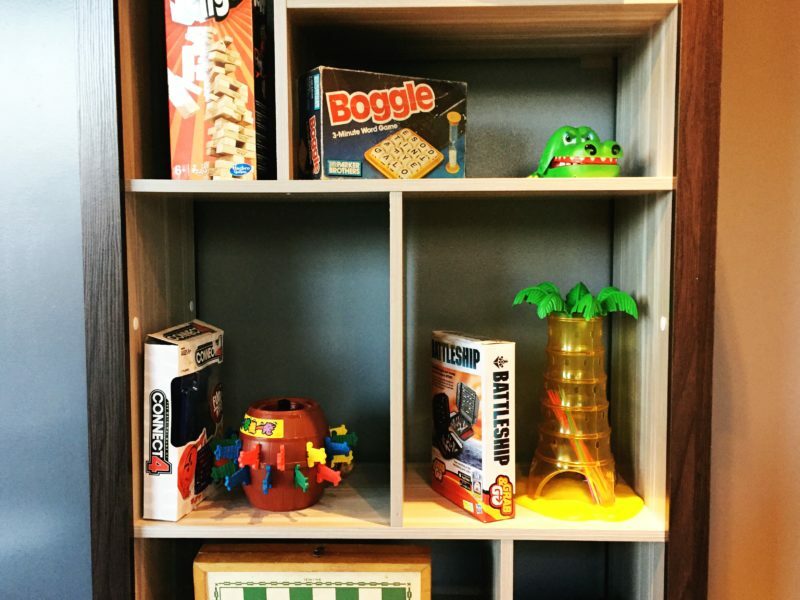 BZ Beans looks attracting as I’m a fan of board games (noticed the picture), it will most probably be a good place for me to chill and unwind when I send my car to Mr. Buff. I wondered how much Baan Khun Thai will cost? I love it that they uses C-shaped pillow. Meals & Beverages in here are not as attractive as it seems except for Garage Cafe & their ice tea. I wish them luck, Marge. I lived in Banawe for several years and have seen one restaurant after another open (and close). 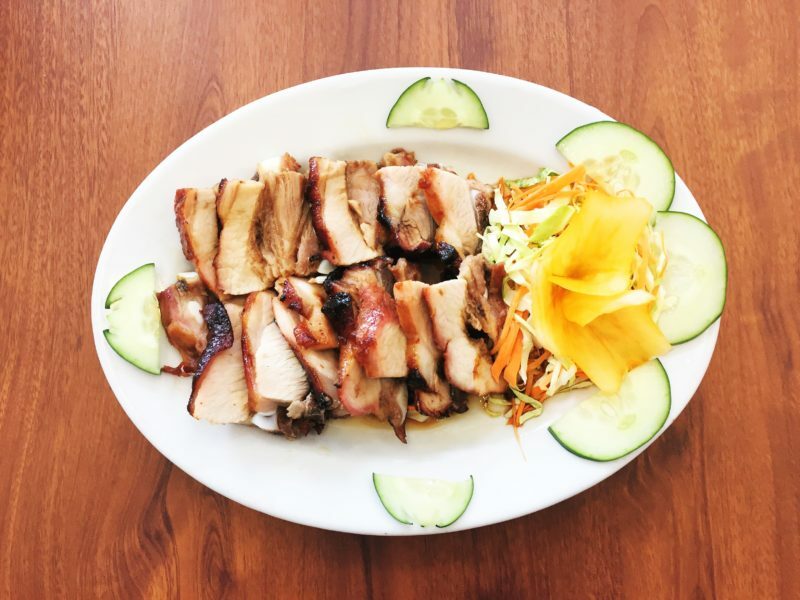 The years I lived along Banawe, plus more than ten years living near Banawe, I have come to appreciate the variety of food available. 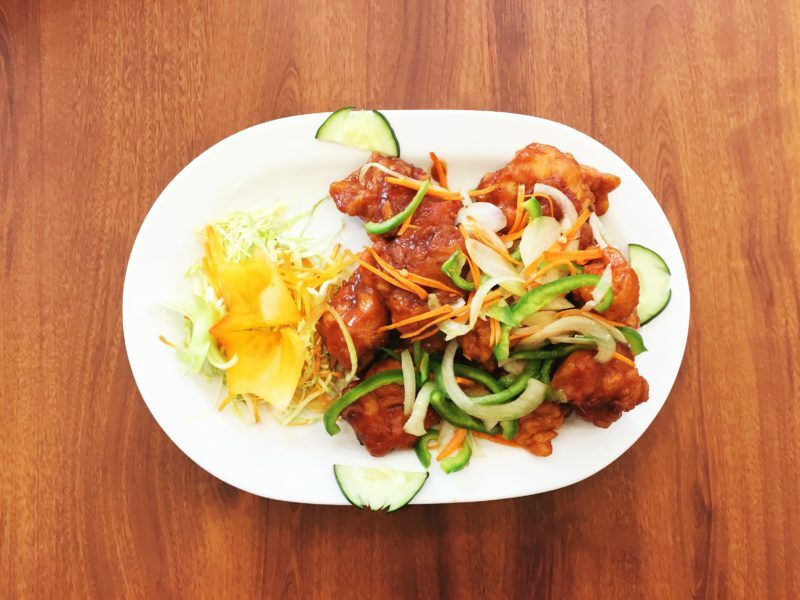 But predominantly, the Chinese restaurant do better than western ones. 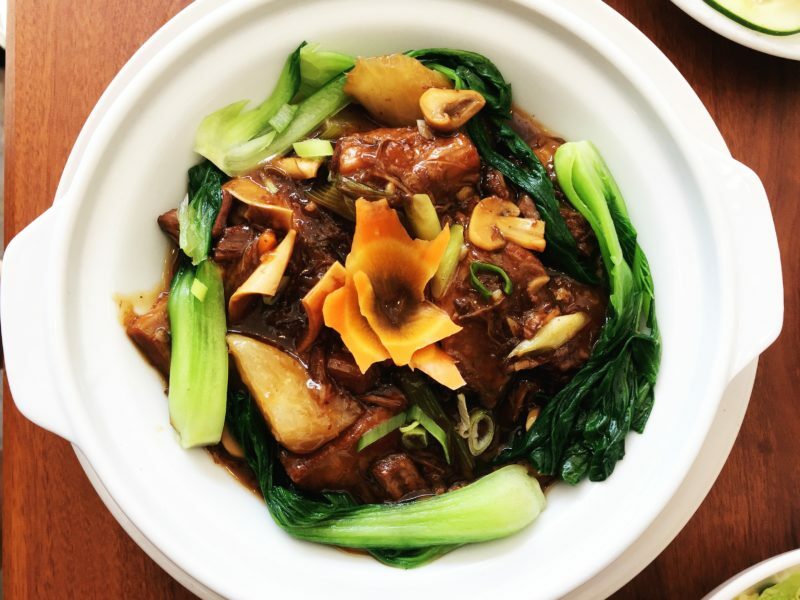 It’s hard to find a non-Chinese restaurant that has lasted over five years.